A million reasons to love her! Lady Gaga came to Ed Sheeran’s defense via Instagram on Tuesday, July 4, one day after he told The Sun that trolls ran him off Twitter. The American Horror Story actress continued to stand up for the “Shape of You” singer, telling her fans, who have thrown shade at Sheeran in the past, that there is “no reason to tear down an artist simply because they are on top.” Instead, she encouraged her followers to spread positivity: “Work harder to be kinder everybody. That should be your first duty to humanity,” she wrote. 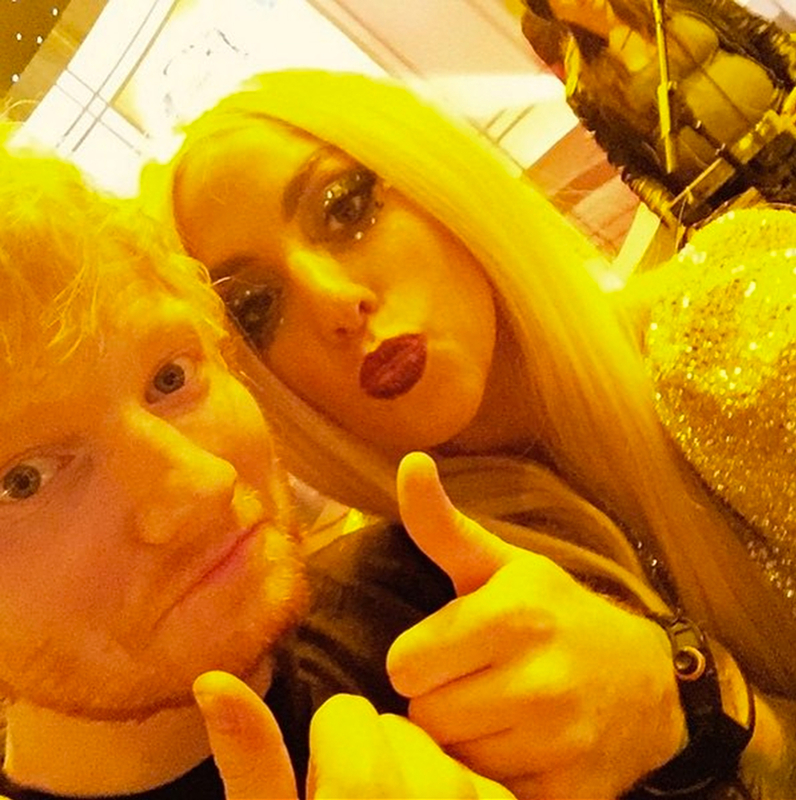 According to Sheeran, some of Gaga’s devotees have been targeting him ever since he revealed to Beats Radio 1 that he hopes to perform at the Super Bowl in the future. The “Poker Face” crooner’s believed that Sheeran’s comments dissed the pop star, who scored the gig this year. “Lady Gaga’s fanbase read an interview in which they assumed I was talking about her and they all f–king hate. So I think Twitter gets on a massive steam roll of assuming things and then you get in the s–t,” he told The Sun in an interview, which was published on Monday, July 3. This is not the first time that the “Galway Girl” singer withdrew from social media. After finishing his world tour for his second album, ‘X,’ in December 2015, Sheeran announced that he would be “taking a break” from his phone, emails, and social media for an undisclosed period of time.